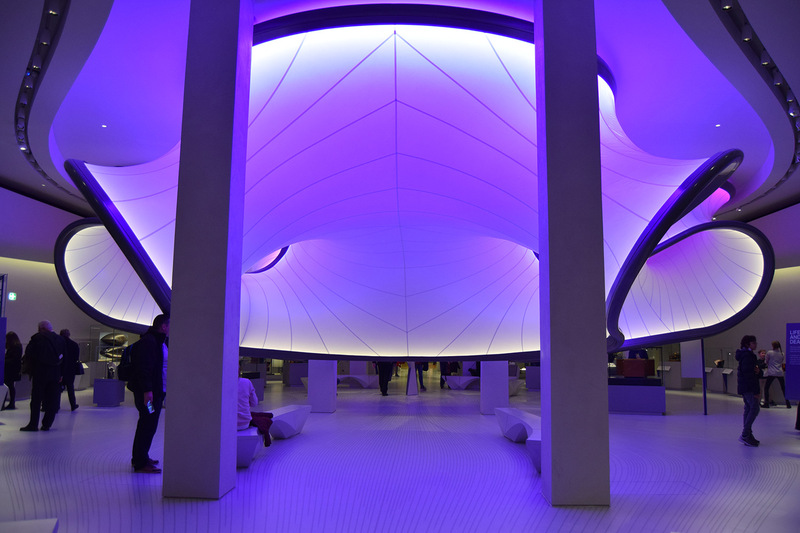 Mathematics: The Winton Gallery shares the incredible story about the highly influential work of mathematicians spanning across 400 years, revealing how mathematics connects to every aspect of our lives. 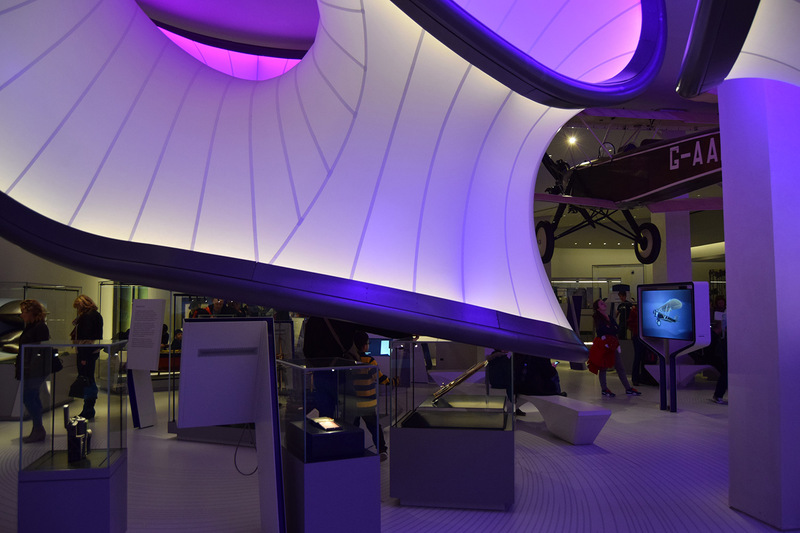 The magnificent curved overhead structure and concise layout of the gallery was driven by equations in airflow used in the aviation industry, therefore the entire gallery follows the contours of this flow, providing specific positions for all of the cabinets and accompanying audiovisual displays. 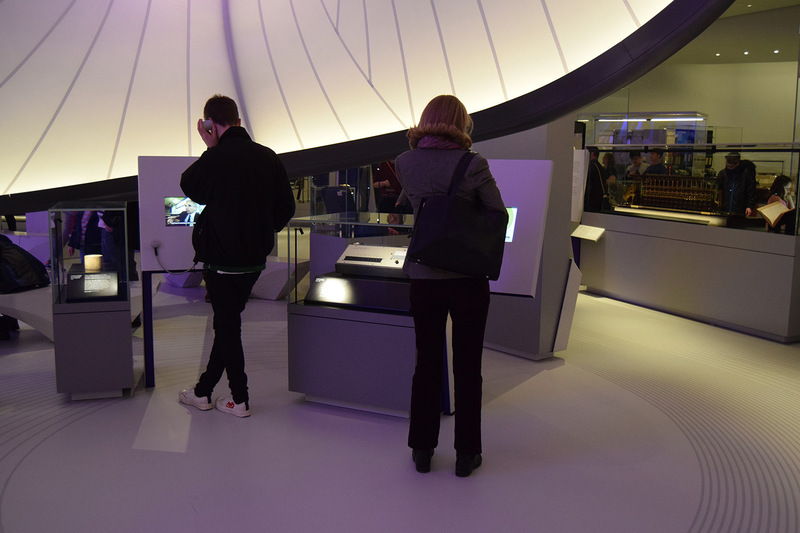 Within the exhibition, there is a combination of mathematical instruments and historical objects displayed alongside interactive chronicles. 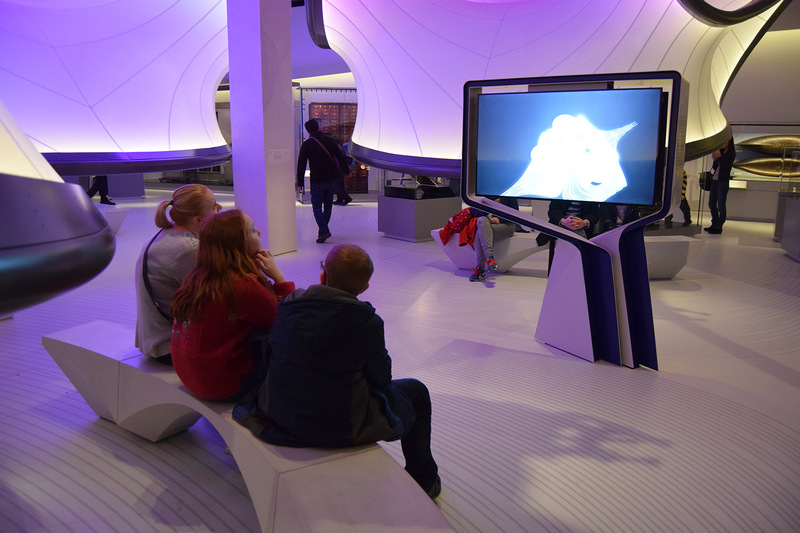 Throughout the space, narrative films, computer based exhibits and graphic animations bring to life the history and significance of these intrinsic exhibits. Screens are mounted within custom pieces of network housing that are designed to compliment the content presented within. The visitor is further invited to engage with this important subject matter, through the inclusion of audio narrative provided by headphones, as well as the multiple touch screen monitors that encourage more in-depth exploration.